“Pioneer Girl Perspectives: Exploring Laura Ingalls Wilder” is now available from the South Dakota State Historical Society. Edited by Nancy Tystad Koupal, the book gives fresh insight into Wilder’s success as the author of the Little House series. Featuring 10 contributors from across North America, the book is the latest from the Pioneer Girl Project, which is a research and publishing program of the South Dakota State Historical Society. Authors William Anderson, Caroline Fraser, Michael Patrick Hearn, Elizabeth Jameson, Sallie Ketcham, Amy Mattson Lauters, John E. Miller, Paula Nelson and Ann Romines cover a variety of topics, ranging from Wilder’s collaboration with her daughter Rose Wilder Lane to her influence on our perception of the frontier and her lasting place in children’s literature. Tystad Koupal also includes an interview with Little House Heritage Trust representative Noel Silverman, as well as Wilder’s own speech about her work given at a book fair in Detroit in 1937. “The essays offer a rich diversity of subject matter … All are even-handed in their treatment of Wilder’s life and writing, not glossing over views she held that clash with modern sensibilities,” says Publishers Weekly, a national book industry magazine. 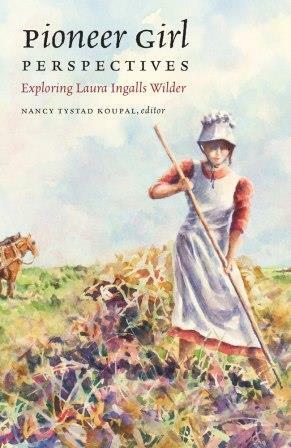 “Pioneer Girl Perspectives: Exploring Laura Ingalls Wilder” is available for $29.95. It can be purchased through booksellers nationwide and online or through the South Dakota Historical Society Press at www.sdhspress.com or by calling (605) 773-6009. Find more information about “Pioneer Girl Perspectives” at pioneergirlproject.org.